For most people who follow a fit lifestyle, traveling can sometimes be hard, in terms of sticking to their typical nutrition and training routine. And don’t get me wrong it is hard, but not impossible nor does it have to be frustrating to control. It’s just a matter of planning and preparing before hand, and knowing what you should have (and avoid) while away. Below, I’ll list a few things I always do when I travel and found that it works, for me anyways. Its much easier than trying to just ‘wing it’. water; after clearing security either fill up your empty water bottle (you brought with you from home) or buy some. Unless you’re in a first class flight, sometimes it can take at least an hour before you get served any beverages. And with the low humidity in planes, dehydration is almost inevitable. Just think, how often do you go to the washroom while flying? Probably less frequently than you normally would. a container full (water bottle is a good size) of protein powder. This is a convenient and easy protein source in case you have limited options wherever you’re heading. For instance, if the hotel you’re staying at offers free continental breakfast, they most likely won’t have egg white omelettes being served. The whey protein can cover your protein needs in the morning. Or when you’re out shopping/exploring new places, bring a shake so you don’t end up missing a snack (or two). your vitamins/minerals, and supplements. Just because your on holidays doesn’t mean you should get out of the routine of taking your daily vitamins/supplements. Its easy to get out of the routine if you leave things at home, especially if you’re gone for a week or more. your gym gear. Yes, you’re on holidays but it doesn’t mean you stop following your usual fitness regimen. When we travel we like to check out the local area gyms and see what different equipment they have. It’s also a great way to keep active and burn some of the excess calories we might indulge in. A tip we like to follow – Plan it into your day. Whether you go first thing in the morning, or mid-afternoon, schedule a workout in and you won’t skip it. ask for any sauces on the side – this includes salad dressings, and toppings over dishes. if you’ve had a heavy breakfast and maybe even lunch, then avoid a heavy supper. Opt for just protein and vegetables. if you want to enjoy a good, hearty, higher calorie supper, then skip the carbs and fats throughout the day to save the calories for supper. This is what I usually do; it also gives you something to look forward to and keeps you on track. 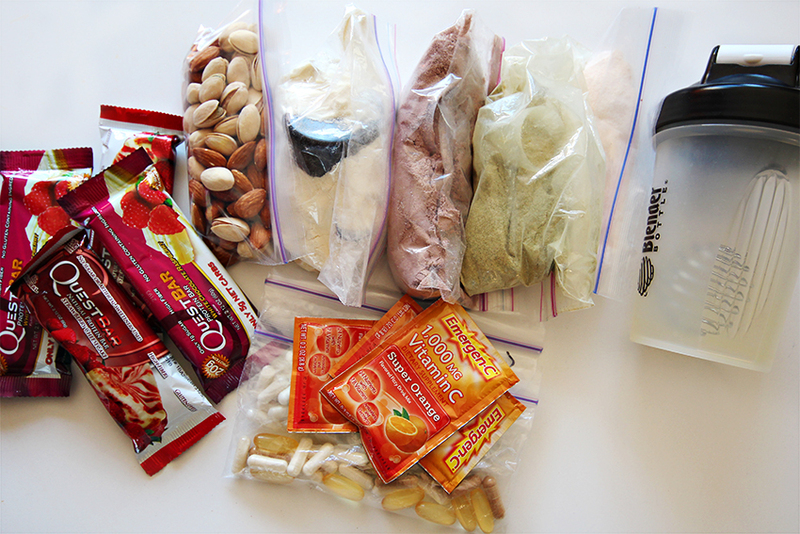 That’s all I have for traveling tips, but hopefully it will help you stay on track and not get deterred from your fitness goals!